Financial support received from Club members and friends helps to pay the bills, maintain the Clubhouse, and sponsor events and activities that fulfill our purposes as an amateur radio club. Donations of surplus radio equipment are always welcome! The Club benefits from donations received in connection with regular fundraising activities, such as Salmon Run. Pledges are received from members in this annual fundraiser event held every September. A pledge may be a dollar amount multiplied by the total number of Washington counties worked during the contest period. Members have fun operating the radio station and enjoy a potluck dinner in the Clubhouse while W7DK is on the air in Washington's annual Salmon Run QSO Party. Voluntary financial donations are also accepted throughout the year. Since only a portion of the total cost of operating the Club comes from membership dues, members may offer additional support through voluntary donations. Donation checks should be made payable to "Radio Club of Tacoma" and mailed to the Club's Contact address or personally delivered to a Club Officer. The Treasurer provides a receipt for all cash donations. 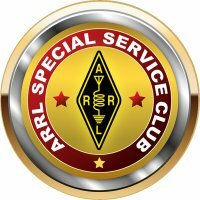 The Club appreciates the generous financial and in-kind support it has received over the years from its many friends, amateur radio equipment suppliers, commercial businesses, other nonprofit organizations, and government and military agencies throughout Washington State and the Pacific Northwest. Thank you! Donations of surplus radio equipment, tubes, accessories, radio science books and manuals, test equipment, and electronic parts are always welcome! These items are used to maintain the Club's radio operations, stock the test workbench, add to the library, and expand the treasured collection of old radios in the Club's antique radio musuem. The Club's Property Management Team is responsible for keeping an inventory of donated items, distributing the items within the Club, and eventually disposing of items no longer needed. If it's not put to use directly, your donated item might end up on the table for sale by the Club at a Saturday Open House Swap Meet, or otherwise recycled for the benefit of someone else in the amateur radio community. Individuals can always donate items of surplus radio equipment at the Clubhouse on Saturdays between 10:00 AM and 2:00 PM. Donors should complete and retain for their records a donation acknowledgment form, which is available at the Clubhouse. The completed form should include the donor's name and address with a listing of donated items. The donation acknowledgment form will be verified and photocopied by a member of the Property Management Team, a Club Officer, or the Clubhouse Host. Information about our status as a tax-exempt nonprofit organization is available on the Nonprofit Corporation page. You'll find a list of Property Management Team members and their phone numbers posted on the Clubhouse bulletin board. Feel free to call on us if you'd like our help, whether it's for a donation or help with selling your equipment, or to advise as to values and disposition of equipment. For more information, contact a Club Officer.